What are the Vegetables That Grow Underground? When you think of fresh garden vegetables, you probably think of green, leafy salads topped with slices of juicy red tomatoes, diced peppers and crisp young cucumbers. 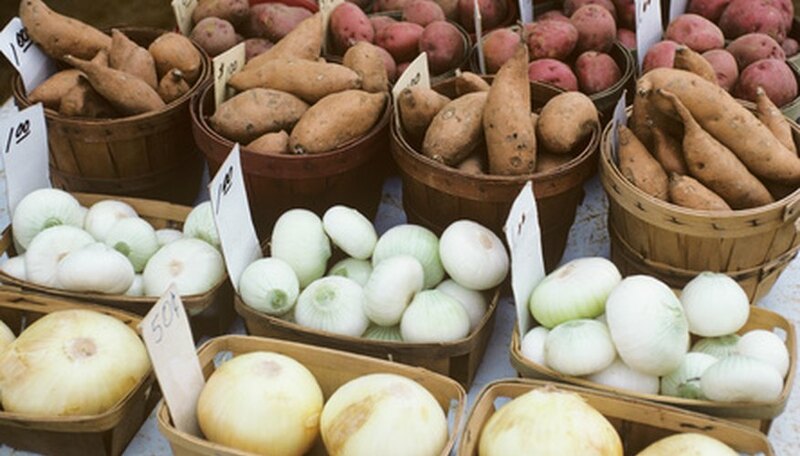 Although these above-ground vegetables supply fruit brimming with flavor and bursting with color, many less showy vegetables grow beneath the ground and add variety and texture to your meals. 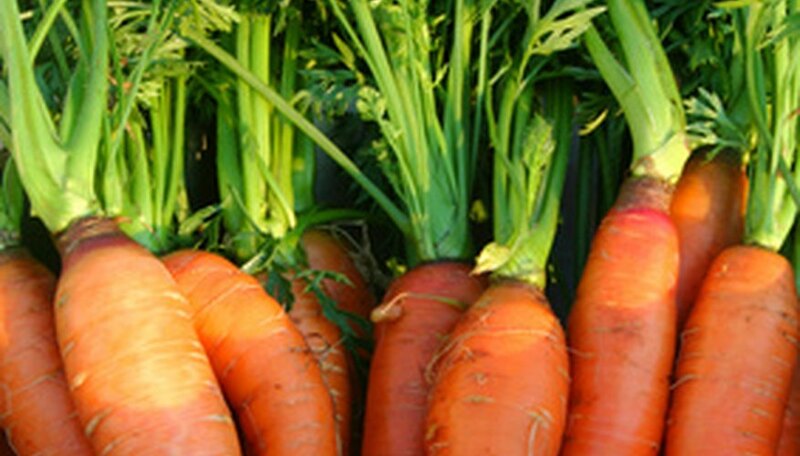 Tender young carrots grown in the home garden are favored by children who enjoy them right from the garden. Planted by seed in early spring, young roots form and enlarge, producing crisp sweet roots suitable for eating fresh or cooking as a side dish. Filled with vitamin A, these crisp roots add variety to the diet while supplying a good source of vitamins. Potatoes grow quickly, producing tender young tubers beneath the soil. When hilled with soil, young roots produce an abundance of round or oblong tubers. Harvested early, new potatoes are firm and sweet and make a mouth-watering meal served with fresh young peas. 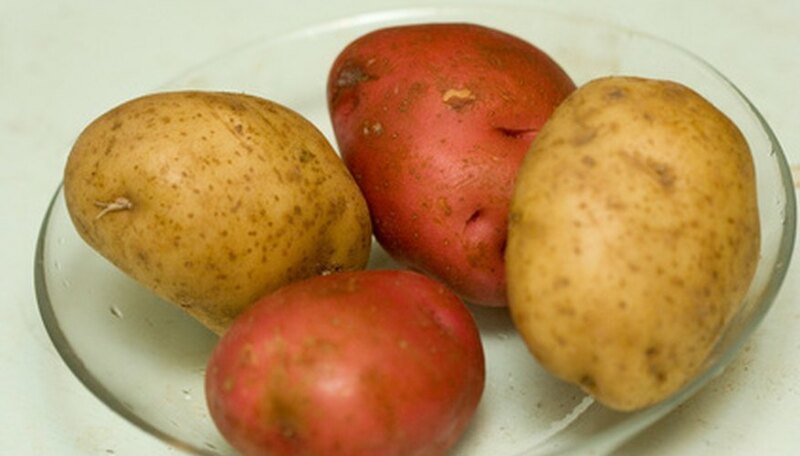 When left to mature, large tubers make fluffy mashed potatoes, crispy fries and savory baked potatoes. 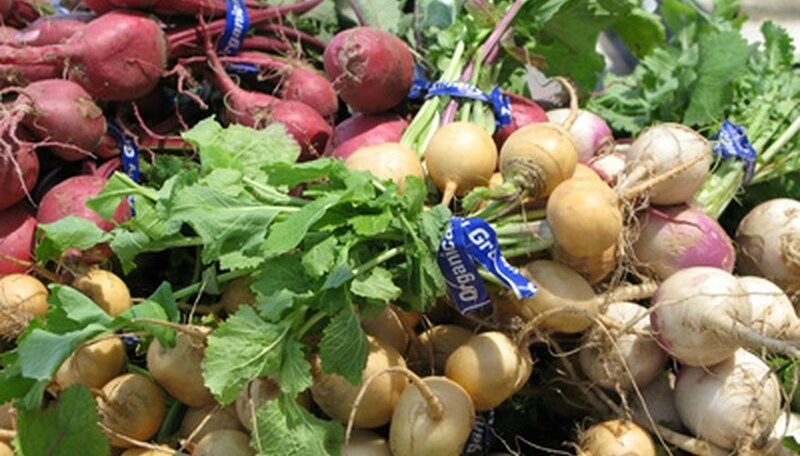 Turnip or rutabaga forms a swollen root that provides a sweet flavor to soups and stews. Eaten raw, this underground vegetable has a strong spicy flavor, but mellows when cooked. Served mashed with a little butter, salt and pepper, it makes a flavorful side dish to liven meats and breads. Beets, often grown for their delicate young leaves and eaten as beet greens, produce swollen roots under the soil. 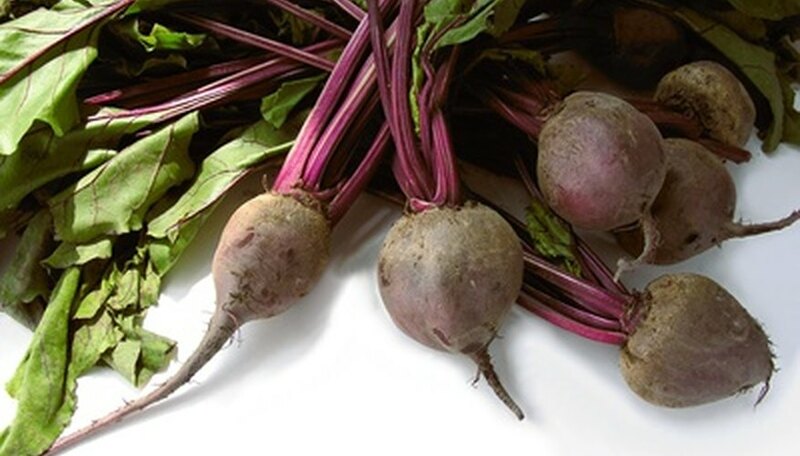 When harvested in fall, plump red beets make an appealing side dish to brighten fall meals. Cooked and pickled, these tender morsels last all winter and bring back memories of country gardens brimming with produce. 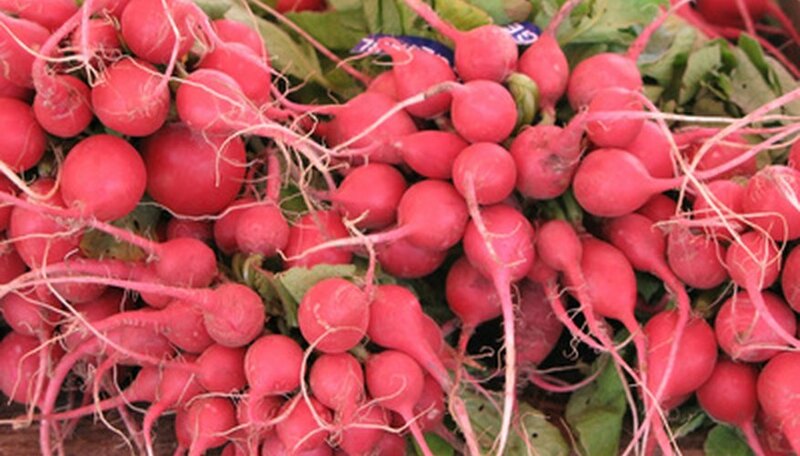 Radishes grow quickly, sprouting in as little a three days, and are ready for harvest within a month. When picked early, firm round roots supply a tasty garnish for potato or pasta salads. 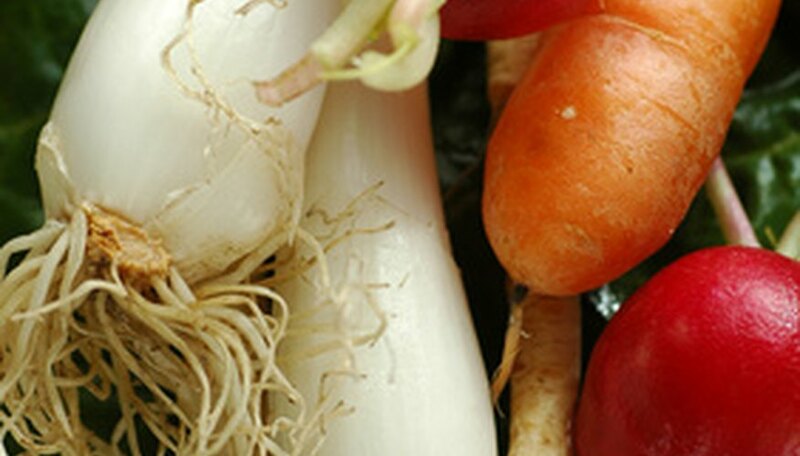 Eaten straight from the garden, radishes produce a burst of spicy flavor unmatched by other vegetables. Onions planted in the spring form swollen roots ready for harvest in late summer or early fall. 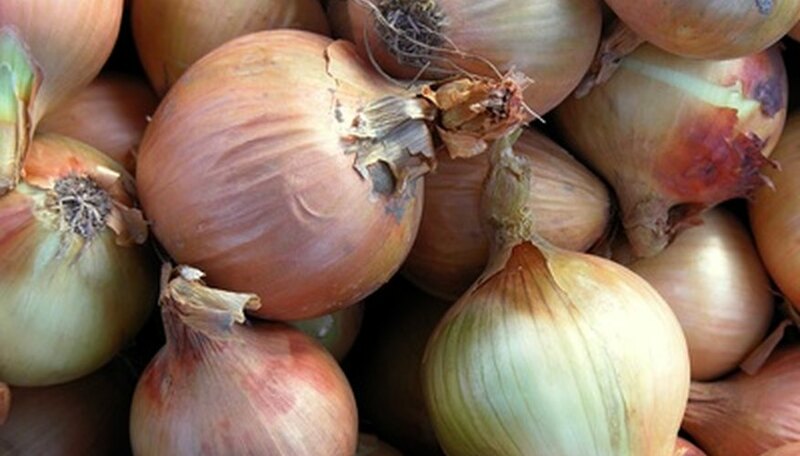 Harvested and dried, onions store well for the winter adding flavor to soups, stews and stir-fries. Sweet potatoes require a long growing season to produce large tubers. Although difficult to grow to maturity in northern climates, southern gardeners grow sweet potatoes for a side dish or a filling for delectable sweet potato pies.